Now that the Canon 5D MK III 'light leak' problem seems to be behind us now, the cameras are back in stock in many stores. This brouhaha reminded me of the Canon 1D MK III incident a few years ago, when it was first introduced. I had never experienced the so-called AF issues that some clamored about. The bad publicity forced Canon to acknowledge the problem and 'fix the defect' in some cameras, resulting in the famous Blue Dot, put on the boxes of the 'new and improved' version. Actually, I think Canon's real problem is their aggressive pricing in their new higher end cameras. A few years ago, I paid $8,000 for the Canon 1Ds MK III and now the 5D MK III is arguably a 'better' camera than the 1Ds MK III, selling for only $3,500. Of course, the purist will claim the 1Ds MK III has a 300,000 shutter cycle, complete weather sealing, etc., but how many photographers will pay double the price to get the 1Ds now? Even though Canon has 'lowered' the price of the 1Ds MK III to $7,000. For those like myself who paid full price when it first came out, it's just water under the bridge. I bought the first 1D camera when the line first came into existence in 1989 and have used the 1D series ever since. It cost over $1,000 then and it was a LOT of money. 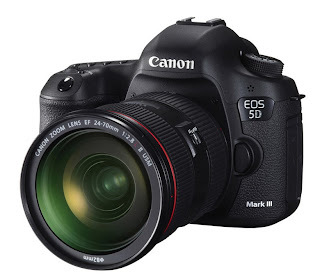 $8,000 is a lot of money to pay today, let alone a few years ago, for the 1Ds MK III and now the 5D MK III is essentially a better camera (in my opinion) for half the price, if one does not mind not having a few features on the 1D but gain a few other features with the 5D. Unlike the Canon L lenses, which protect most buyers' investment, because the new Series II lenses cost more than the older Series I. Only in some high end camera bodies, do the new ones cost 'less' than the older models and do essentially the same or better job. If Canon ever wants to charge $8,000 for another DSLR camera, they will have to come up with the mega pixel sensor to justify the high price and that will only work for those who subscribe to the pixel arms race. I am a Wildlife photographer and use the 1D MK IV body a lot and have placed my order for the 1D-X, which should be shipping in about a month. Paid $5,500 when the MK IV came out and the 1D-X will cost $6,800. Normally I would sell the previous model when I trade up but this time I will keep the MK IV because it will be the last APS-H camera Canon produces. Plus the 1D-X does not have the auto focus capability with f/8 so the MK IV will be very handy to have as a backup camera. They both use the advance LP-E4N battery and LC-E4N charger, so I don't have to bring separate equipment on photo shoots. Also anxiously waiting for the Canon 200-400mm f/4 lens with the built in 1.4X extender to go on sale. This is one lens I would not mind paying for but upgrading to the new Series II lenses can wait. I am interested in real world differences, not lab tests and subjective results. Visit my website to see photos taken with all the cameras mentioned and see my Equipment page for more analysis. Thanks for sharing Canon 5D's information. I was searching a good information from so many days. This blog have cleared my all question for canon 5d. Hi Sandeep. If I were in the market to buy a high end, full frame camera, the Canon 5D MK III is the best value in my opinion. Take a look at my Equipment section on my website to explore this camera further.